As you research schools for your child or your children, always consider the following questions: Is this school in sync with what I desire for my child or children? Is the worldview of the school similar to my family’s worldview? In other words, will what my child or children be taught at school reinforce the same values I am instilling in my child or children at home? FCS disciples students to be engaged by Christ and engage the world for Christ. FCS strives to exhibit biblical values in word and deed. We attempt to glorify God in every activity the school provides. FCS endeavors to provide a rigorous academic program where students are prepared in all academic disciplines and are skilled in reading, writing, speaking, listening, and thinking. FCS serves families who desire discipleship for their children, producing young men and women with a Christian worldview who are prepared to engage their world for Christ. FCS is a learning community where students and their teachers are learning together, growing in knowledge, understanding, and wisdom. FCS partners with Christian parents to equip students to fulfill God’s purpose for their lives. FCS believes respect is key to healthy relationships and honoring God. FCS challenges students to be engaged in serving God and others. 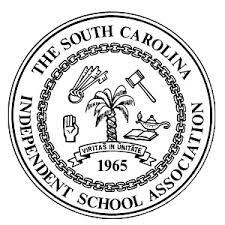 We are fully accredited by the South Carolina Independent Schools Association (SCISA) and Advanc-ED. AdvancED is recognized locally, regionally, nationally, and internationally. Schools accredited by AdvancED focus on results and emphasizes continual improvement of those results. These accreditations allow our graduates to attend colleges and anywhere around the world. Faith Christian School is a ministry of Faith Assembly of God. The school was a vision of Pastor Larry Burgbacher to provide a Christ centered education for families in our area. We began in 1987 as a preschool and kindergarten. The school continued to grow by adding a grade level each year. We honored our first graduating class in 2000. Faith Christian School is a non-denominational Christian school located in Summerville, SC. We are a discipleship school that partners with Christian families to raise up young men and women to fulfill God’s purpose in their lives. Faith Christian school strives to see our students live as disciples of Christ and fulfill God’s purpose in their lives. This is why we are committed to providing our students with a Bible-based education that will lead them to think and act from a biblical worldview in their lives, families, churches, and communities. We offer college prep and honors classes, a variety of elective class, and a complete athletic program. God has blessed Faith Christian School with an excellent, caring, and highly qualified faculty and staff who are called to equip our students through relationships, learning, and service to prepare them for the challenges they will face in the future. As a discipleship school, we educate each child through the filter of a biblical worldview. We look at every concept and every activity from the lens of God’s Word. What does God’s Word say about math science, English, psychology, football, discipline, etc.? We base all of our curricular and extracurricular programs and decisions on this biblical philosophy of education. As a discipleship school, we educate each child academically, spiritually, socially, and physically. We recognize each student has different gifts and abilities and we provide opportunities for each student to use those gifts and abilities for God’s glory.